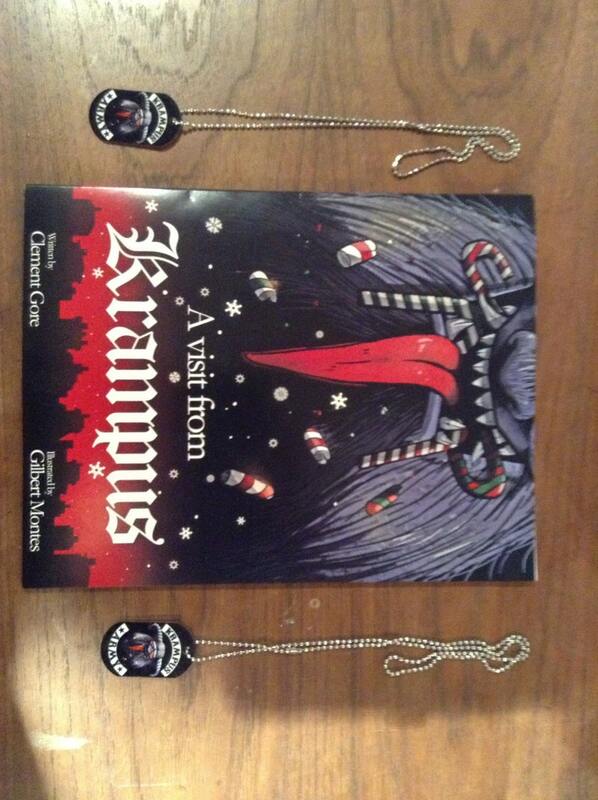 A Visit from Krampus Children's book. Order through our etsy shop and your copy will be signed by the author. We at the Krampus Army believe Krampus is for everyone. We are striving to make Krampus a regular part of Christmas festivities worldwide! A Visit from Krampus is our second Krampus book. It is a traditional tale about Santa Claus and a group of Krampus descending upon a house of two spoiled brats at Christmas time! The book has 20 pages of full color illustrations + bonus illustrations and three double page spreads. You can also find us in the humour section in select chain bookstores. We have fans 7+up that carry their dog eared book around with them throughout the year! 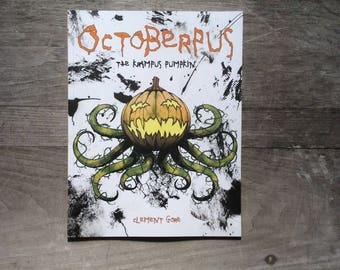 Our book is carefully crafted to be as scary as possible but not too scary. Seasons Beatings and/or Keep Krampus in Christmas. You also get a lifetime membership to the Krampus Army with each purchase! Members are automatically registered to win merchandise, fan packages and wicked prizes! Please Join the Krampus Army fanpage on facebook and see what our wicked elves are up to! Seasons Beatings! shipped fast and was just what I needed.